Allison Ostrander, Director of Risk Tolerance at Simpler Trading shares her insights in the the charts of Apple and Gamestop. We also discuss the short positions that entered Apple before the recent earnings report. These shorts are a large contributor to helping drive the stock higher right now. These stocks also tie into the broader retail sector. Click here to visit the Simpler Trading website to follow along with Allison. For some wacky reason, some resource investors still think Lithium was just a fad from 2015-2017 and is one and done. Nothing could be further from the case, and with technology from eBikes to Electric buses, and EVs to Laptops or SmartPhones consuming battery powered energy, the need for increased supply will only increase as the world continues to develop. While most Lithium companies were garbage and marketing fluff, there are about dozen real companies and 6 new Jr producers that represent a good opportunity at current depressed valuations. Plug in to the trend, or watch is pass you by…..
“This means the supply of lithium, cobalt, nickel and manganese to produce the cathode for these cells, alongside graphite to produce battery anodes, needs to rapidly evolve for the 21st century,” Moores testified. bought some alb last week. nice. I hold Pilbara, Galaxy, Nemaska, and Lithium Americas at present but have had Orocobre, Critical Elements, and NeoMetals a year or so back. There are a few more development stories that are also moving along nicely that have JVs or Strategic partnerships that show promise. Nice mix there. Hope they all go to the moon ! Again, I bought the Lithium stocks in 2015 and early 2016 and rode the up in epic moves into 2017. In some stocks I sold out completely in mid 2017 through early 2018 (since they had gotten overbought and ahead if themselves), and other companies I sold 1/3 – 2/3 and just retained a core position. I’ve been observing from the sidelines and holding a remaining 4 companies since then, but believe 2019 will usher in a new Stage 1, followed by Stage 2, etc…. Ex, fad or not, the space is currently not nearly as interesting as the PM miners. LIT hit a MONTHLY (capped because that’s a big deal 😉) rsi(14) of over 80 just a year ago. So, not surprisingly, the monthly chart is not yet close to looking favorable. It’s been “done” for a year and will probably be done for quite awhile to come. The bounce since December looks corrective to me. Sure, individual plays can do well, but I’d rather be where there’s a tailwind, not a headwind. 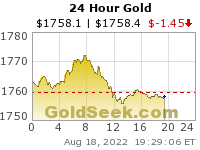 Matthew, I agree that currently there is more of a tailwind in the Precious Metals, and post about those most days. I was buying miners at the end of summer and during tax loss selling like most years past, and am pleased with their appreciation. As for Lithium stocks, from 2015-2017 I had 5-10 baggers in the stocks I held and sold all or a big portions in late 2017 abd early 2018 (while most scoffed and completely missed the move from the sidelines). The quality Lithium stocks I still hold are now at a zero cost basis, as a result, but I expect them to do more than just a corrective bounce, and a happy to wait for them to go into Stage 1 & 2 again. There’s no such thing as zero cost in my book. That’s an “easy come, easy go” attitude. If you view your gains as yours, then you should protect them as you would your original capital. I took my profits in 2017 and early 2018, and commented several times that they were one of the few bright spots in the minors I held. I view the 4 stocks where I reatained positions as a good place to store and protect capital for the long haul, and am happy to have funds in them now, and will be adding more if there is any remaining corrective moves in them. Also LIT is a crappy ETF, and I don’t use it as a gauge and have been vocally against it for the last few years. Their weighting and selections are wack. I’ll take your word for about LIT but Nemaska is in a more compelling decline. Matthew – I just looked at the weekly chart on Nemaska that you posted and have to admit it does still look rough for the near term. I’ve been waiting for the catalyst of their going into production to cause the stock to be rerated, but maybe I’ll just cash out completely and come back when it looks like Stage 1 is getting ready to turn into Stage 2 and the momentum is back on the side of the bulls. I like their asset, pilot plant, team, and track record of hitting their milestones, but clearly the investor appetite is not there at present. Thanks for the charts and perspectives as per usual, and this is a situation where the technical data trumps the fundamental backdrop. The price action tells the story of where investors feel things are and for the near future there are better opportunities elsewhere. Everything is cyclical and lithium is far from the most appealing sector right now. The current move could turn into more than a bounce but the chart suggests that it won’t. Of course, even if it is a bounce, there could be significantly more upside for many companies. If one doesn’t want or need more PM exposure, uranium is on far better footing than lithium. I agree with you on Uranium being on far better footing and hold a basket of their miners as well that have been very peppy lately. I like diversifying into a few different resource and energy sectors, and still believe the quality Lithium stocks still have a long way to run over the few years. There has been a nice pop in most #Uranium stocks since tax loss selling in Dec 2018 through present. JC Parets: Will Gold Bugs Finally Have Their Day? Well, for whatever reason all of my miners are up this morning, despite silver being down a dime. We’ll see if this lasts. SLV:GLD has been disappointing. Unless today is reversed, it looks like it could test the 50/100 dma, which are crossing today, by either today or tomorrow. GCC (unweighted commodities) needs to start moving up or else the likelihood is that most of this year is going to be sideways to down IMO. AXU has got to be signaling that commodities have bottomed. To the moon Alice! Can UUP keep risinig? On the daily chart, it is close to breaking out above the Ichimoku cloud and the top bollinger is bending up and beckoning. Rather than roll over post-Fed, it is giving the strong impression that it is going to do just the opposite. It is on the brink of breaking out. Powell should just open the monetary spigot–it seem the USD can’t lose. AXU is up 9 days in a row. Currently if it closes above 1.23, that will be 5 closes in a row above the upper bollinger band. It’s 5 day RSI is 93.4. This is either a tremendous pump and dump or someone really likes AXU. If it doesn’t close in the red today, tomorrow is virtually guaranteed to be at least sideways. Junior miners can always have big corrections but AXU’s weekly chart looks almost perfect. I see speculative positioning for leverage to silver, nothing shady. Powell is having his cake and eating it too. UUP breaking above cloud support this afternoon. Oh well, it was fun while the dream lasted. Back to reality. Today’s action is worrying to me. USD looks primed to rally (for whatever fundamental reason). Commodities look set to have another sideways to down year based on weekly cloud resistance. Honestly, I cannot see silver or gold for that matter doing much more this year in light of this. gold now has $1270 as super strong support. Silver has no such floor underneath it yet and looks set to have a miserable year if the rest of the commodity complex can’t get off of its miserable behind, and soon! slv:gld daily chart showing the 50 and 100 dma and the Ichimoku cloud tells you everything you need to know. If the ratio breaks below cloud support, silver is going to be playing a waiting game for most of the year IMO. Bottom line is commodities are looking like 2019 is going to be another year of misery. They still have an opportunity in the next week or so to pull off a miracle, but it is looking less and less likely. Barring that miracle, the complex is headed sideways to down for most of the year IMO. The PMs will be flat at best if that plays out. We’ll see I guess. based on this week’s action, Powell and the Fed are still in total control of markets. Another 2013? I didn’t think it was possible. Nothing seems to matter for USD or the US stock market. Silver (SLV) still looks better than it did at the beginning of the 2016 move. It could fall more than I expect and still not be a problem for the bulls. My concern is the weekly Ichimoku cloud. No clean break above it yet. And yes, price could go way lower between now and early March and still remain ostensibly bullish. Silver miners are still anyone’s guess. But cloud resistance on the weekly is still a major bearish factor, unlike for GDX. That is technically true but GDX often leads the smaller miners just as gold tends to lead silver. That, combined with many other factors tells me that silver will get through the cloud. 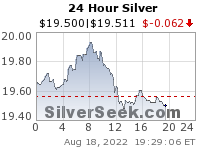 It is a good sign that sil and silj are providing no leverage to silver today. I should probably add that GDX isn’t out of the woods yet. If it lets go tomorrow and Friday to the down side, penetrating the weekly chart to the upside will absolutely not be a forgone conclusion like it appears to be now. If SLV:GLD ratio manages to break below cloud support on the daily chart, it will be a major blow IMO and will mean silver will take a back seat to gold for months more. australian dollar getting monkeyhammered today. The Jan. FOMC marked the bottom for USD. Go figure. Up up and away.